At first sight, the main talking point on the eponymous offering from trumpeter Werner Hasler, drummer Gilbert Paeffgen and Karl Berger is the vibraphonist's co-optation into the multinational trio. That impression lasts no longer than the first listen to this fresh and open collaboration. 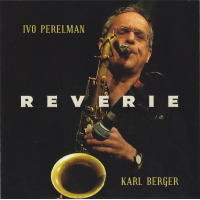 Berger, a German-born, New York-based veteran, has a long-held interest in world music, a product of his association with wandering griot trumpeter Don Cherry, which proves to be the perfect grounding for this meeting. Paeffgen, in particular, has gone on record affirming his affection for African and Celtic music. The eight cuts are credited jointly to the brass man and drummer. 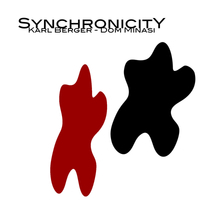 Their compositions are rhythmically complex but harmonically simple, making the most of Berger's ambiguous role midway between melody and percussion. They eschew overt virtuosity in favor of a distinctive group conception, achieving an orchestral feel from just three voices. Their arrangements are tight, but loose enough to accommodate Berger's ringing solos, extracting maximum dividend from what might seem limited resources. Hasler uses electronics to subtly extend the range of his trumpet from pinched whispers to subterranean buzzing, though at times he recalls the synth sound of trashy Europop. 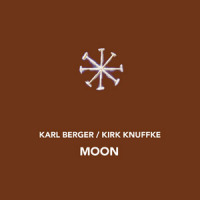 An essentially tuneful drummer, Paeffgen blends well with Berger to provide an underpinning latticework through which the trumpeter weaves his lines. Paeffgen makes full use of his kit, orchestrating one part against the other, contrasting a syncopated cymbal pattern against a rolling tattoo on his snare. Like all good openers, "Holtondimi" gives a strong taste of the preferred terrain: attractively layered patterns derived from chiming vibes, measured percussion and impassioned, smeary trumpet. Tempos vary, as does the instrumentation: vibes sit out on the fluttering "Metro DimDim" and the processional "Wuammas," while the addition of burbling electronics on the ambient "Spiralthing" is slightly disconcerting. But the highlight of the 41-minute program is the episodic "Augdimaug." The two principals pass through a series of related callisthenic motifs, showing off the pleasing attributes of this band to great effect. Track Listing: Holtondimi; Lomallet; Metro DimDim; CAbH; Notes; Augdimaug; Spiralthing; Wuammas. 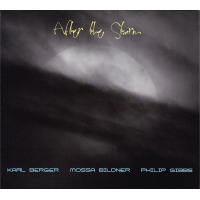 Personnel: Werner Hasler: trumpet, electronics; Karl Berger: vibraphone; Gilbert Paeffgen: drums.